People always wondered about the next Samsung Galaxy that was planning on coming out later this year or next. A few days ago, a couple of blurry pictures of the new Samsung Galaxy S10 got leaked. From the photos, the phone seems to be less curvy and looks like Samsung focused on trying to create a larger screen more than anything else. The front camera on the screen looks very large for a front camera. Also, from the photos of the back of the phone, the cameras look extremely big, covering a long strip of the back of the phone. 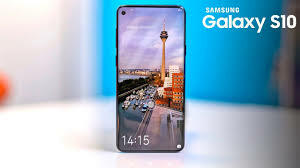 Galaxy S10 handsets sold in the UK, Europe, South Korea, and India. Other global markets will be powered by Samsung’s own Exynos 9820 processor, while the Qualcomm SnapDragon 855 will be used in devices sold in the United States and China. The phone will have double layer cameras on both the front and back of the phone with possible rumors of the S10 getting an Infinity-O display for the front camera. The Galaxy S10 also seems to be trying to add features for users that plan on purchasing the new phone by having a headphone jack and possibly a cryptocurrency wallet to store crypto so it can’t be hacked off unstable websites. Samsung is reportedly planning four variants of the Galaxy S10 at 5.8, 6.1, 6.4 and 6.7-inch sizes. The price point 5.8 inch S10 Lite will reportedly start at £669 based on information from Gizmodo UK saying it received from a “source at a major tech retailer.” It would then be followed by the 6.1 inch S10 at £799 and then the S10 Plus at £899 which could measure either 6.4 or 6.7 inches. All three models will come with at least 128GB of storage, the article reads, though the highest capacity S10 Plus will offer 1TB of storage for a whopping £1399 for the best model that will be for sale.